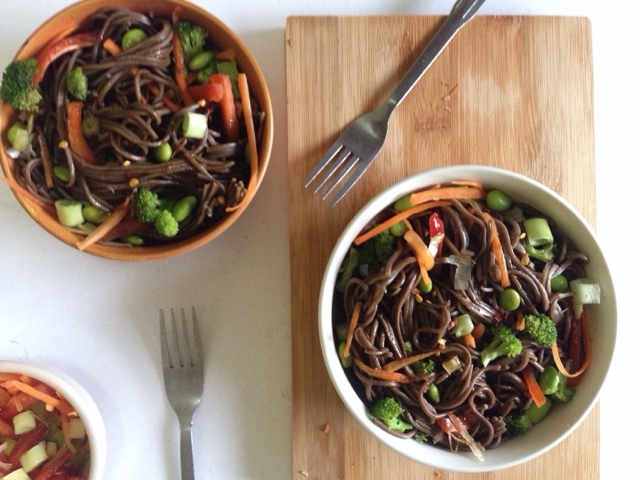 Mmm, nothing like a bowl of savory deliciousness done in under 30 minutes! I feel ecstatic to share this recipe with you all because it's actually one of my favorite dishes ever. 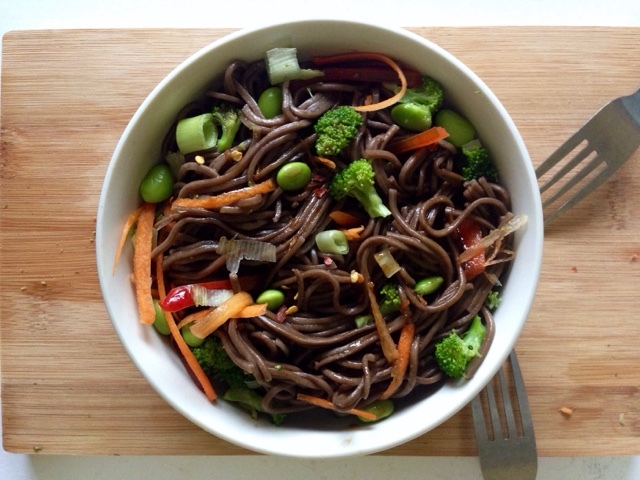 Not only is it unbelievably healthy, it's also very flavorful, so easy to make and takes no time to prepare! One thing that you have to know about me is that I love sweet and spicy food. My experiences in Japanese, Chinese, Thai and Indian cuisine have always involved a taste party with strong, contrasting flavors and various textures. 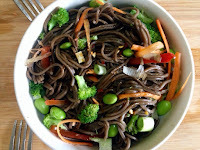 And, I'm proud to say, I think I've got them all covered in this recipe, including local spices and vegetables that have serious nutritional profiles as the ingredients. Although carrot, ginger, and broccoli are three that I will always consider "super," my newest favorite and latest addition to the bunch is young soybean, edemame. Over the years, I have had multiple encounters with edemame as a side or appetizer at Japanese restaurants but it is only recently when I found out about its generous health benefits. Edemame is a bean that is apparently an excellent source of calcium, protein and iron, which makes it great for those who follow a plant-based diet like me. And (listen up ladies!) because of that, it is known to aid with osteoporosis, firing up energy levels, and promoting fertility. As it also contains vitamins such as E, K and C and minerals like magnesium and phosphorus, I don't question its growing popularity in the superfood department! You have probably seen a pack of edemame at the supermarket before, without knowing its powers in health. If you have not tried it ever, I totally suggest that you stop walking past the frozen section without grabbing a pack to start working with it in the kitchen -- I personally like snacking on it just because I find it yummy! 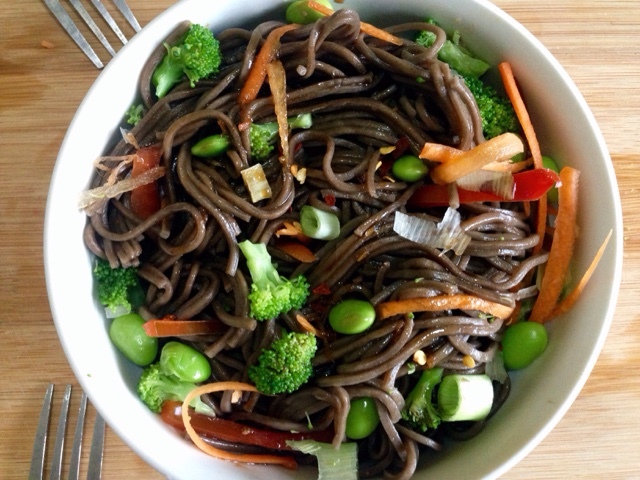 With this bean and all the other good stuff in this noodle toss, I think it could be a perfect example of how one can eat so much healthier without having to sacrifice taste and flavor. Cut the broccoli into tiny florets and chop the carrot and pepper into thin strips. 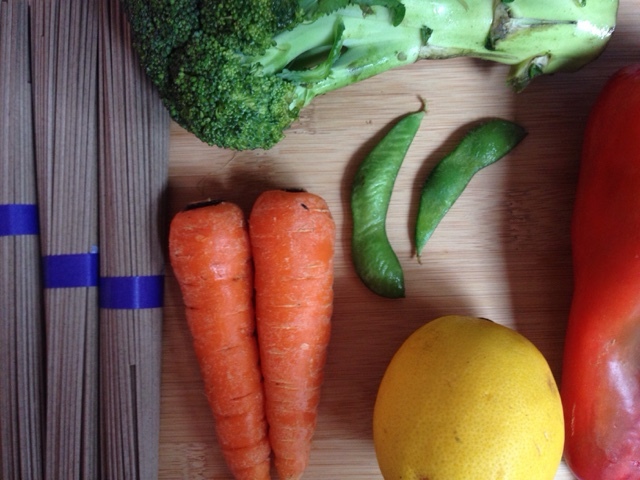 Cook the noodles, carrot, broccoli, and edemame in boiling water for 5 minutes. While these cook, make the sauce by mixing all of its ingredients together in a small bowl. Once the noodles and vegetables are cooked, drain the water and then de-shell the edemame. Combine everything in a bowl, add the sauce, green onions and chopped pepper and then toss until the noodles are properly coated.